Ease of use, accuracy, integrity, efficiency, and security are some characteristics which a good software should have, and when we speak of software products that focus on business users, the scale of expectations increases. Therefore, there remains no room for software functionality mistakes and bluffs; otherwise, the risk of data loss or corruption can surface. Kernel Migrator for SQL Server claims to migrate both corrupt and healthy SQL server database file(s) to distinct cloud platforms, which I’ve tested carefully, to find out how well it gets the job done. I’ll walk you through my Kernel Migrator for SQL Server review dwelling the associated benefits and my experience, explaining how well the job of SQL Server database migration went. For more info, you can visit the Kernel website. Software should please you not only with its functionality but with looks as well; the User-Interface plays an important role in deciding the level of user acceptance & friendliness; otherwise, it’ll be like any other typical software product. Kernel’s Migrator for SQL Server boasts of modern UI, and if I compare with what it has to offer, it doesn’t have multiple options which generally turns the look & feel into bulky. Open, Migrate, and Help are the main options available in the menu bar. Each time you launch the tool, the Select SQL Database window pops on-screen automatically saving your time to reach to the Open option, but in case if you close the window you can reach to the option and launch it again whenever needed. Support is one of the important things which most of the users seek from a software product whether it is for personal use or business use. Kernel tool with its wide support for older software versions eliminates the accessibility gap. I’ve SQL Server 2017 installed on my system, and I was not hoping that Migrator for SQL Server tool would be supporting this version, but unexpectedly it did, and that’s not all, the tool support all versions of SQL Server ranging from SQL Server 2000 to 2017 – which is the latest version of SQL Server available. Kernel Migrator for SQL Server is accompanied with the built-in ability to detect the database version, but in case if someone wants to select the same manually, he/she can do so. For me, it did the job automatically. The tool comes with the feature of Live Preview, which in all senses is quite nice. Once you load the file and the database file scan is complete, it lists all database objects in a tree structure – you can expand or collapse the objects to check what’s inside and click on the object to preview it. For many, it can be confusing for why does this feature even matter? It matters as it helps you in confirming the data integrity & hierarchy. For cross-check, I’d tried a demo database file, and you all can see the results below. At first, I thought of Kernel’s Migrator for SQL Server as a simple tool that serves for the only purpose of database migration to Azure SQL & Amazon RDS with limited functionalities, but after I used it for a while, I was quite surprised to know that I can migrate either all or selected database objects. From destination database selection to server authentication credentials input, everything is combined and given in unified Migration Options window; no extra efforts are required to first configure the tool with SQL Server and login credentials. The issue of compatibility sometimes comes as a big question especially for those companies or organizations who are still using an older build of SQL Server for their database needs; there could be many reasons why these organizations practice such habit. Kernel has done a good job in terms of compatibility; the tool is made wide compatible with a range of Microsoft SQL Server versions form SQL Server version 2000 to 2017. Kernel Migrator for SQL Server is made available in two distinct product license categories which are Corporate and Technician License. For both the license types, it offers lifetime support, software updates, and 100% money back guarantee. The Corporate license costs around $149 whereas Technician license costs for $299 including other associated benefits. It’s not proper to suggest you invest your money right after learning what I’ve experienced, and so you can download the free version and check on your own. The trial version is bounded with some limitations but to prove the claims, it can generate Live preview of database objects. Compatible with older SQL Server versions. Cannot migrate database using the Free Trial version. Cannot select more than one database file at a time for migration. SQL Migration tool is a lightweight tool that doesn’t require high-end hardware to run. It is easy to use too. In my Kernel Migrator for SQL Server review, I’ve shared my experience to let you all better understand how it performs the migration. The free trial version allows you to understand better about what you’ll be getting when you will make the purchase. You too can share your views over the same and ask questions in case of any queries you might have. This article will provide an overview of SQL Power Doc, a powerful script to document SQL Server, including pre-requisites, purpose, installation, processing and output. Automation seems to be an increasing need in IT industry. At present, PowerShell leads the game in the Windows-based environments, since it is capable of handling highly complex workflows. PowerShell is the go-to choice when it comes to automating even requirements such as configuration management. I got an opportunity to assess SQL Power Doc recently. 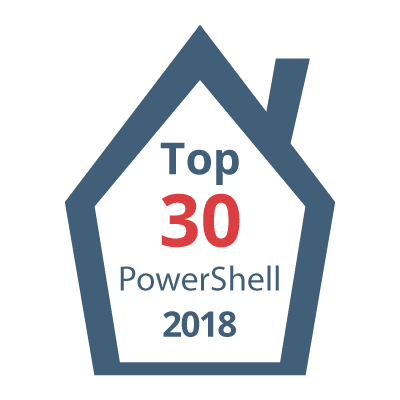 I have worked with PowerShell a lot (I have even written a book on it). I have built my share of automation and designing tools using PowerShell. When I took a look at SQL Power Doc, I felt the tool does have its share of capabilities to help DBAs in its own way. Let me detail some of my experience while exploring this tool. Let’s get started. SQL Power Doc was written by Kendal VanDyke. It is a command line PowerShell manifest consisting of several PowerShell modules that will help you build a solid foundation to Discover, Document and Diagnose SQL Server instances and Windows Operating system details. Additionally, you’ll gain some insight into what directions you can go for future exploration. It basically invokes PowerShell cmdlets and give you the necessary details front and center. If you are reading this, you are desperately looking for solutions to change suspect mode to normal mode. It also means that your database has gone into the suspect mode. In that case, you have already experienced one of the most irritating situations possible for a DBA. Worry no more, as you will soon get out of this situation. In this post, we have compiled some of the prominent solutions to the query, “how to change suspect mode to normal mode in SQL”. We will also tell you in detail in which situations a database can turn into suspect mode and what can be done to get back the database into normal mode. In this section, let us check some of the common scenarios responsible for suspect mode of SQL database. What happens in this case is some data or log files get deleted (or misplaced) from the database when the Server is in offline mode. As a result, the database fails to start and goes into the suspect mode. Solution: If the suspect mode situation occurs due to this reason, the error message of SQL Error Log will contain the name and directory of the missing file. Place back the file and then run this command to put the database online in normal mode without any data loss. In this particular situation, SQL Server fails to put an exclusive lock on the log file or data when it tries to come online. It also fails to access a lock placed on data/ log file by some other tools like anti-virus applications (happens if SQL Server is shared with these tools). Solution: If the above reason has put the database in suspect mode, you have to kill the file handler responsible for placing lock on the file. Take the help of Process Explorer to do this and the involvement of System Admins is recommended to perform this particular step. Later, run this command to put SQL database into normal mode again. Here, a corrupt transaction that took place in the database has put the database into the suspect mode. This is often considered as the worst possible scenario as it contains high chance of data loss if there is no good backup. This is also the main reason for suspect mode in OLTP databases. If SQL Server is been closed abruptly or restarted while in the middle of a transaction and then it failed to complete the transaction (whether commit or rollback), this scenario occurs. Solution: If you have a good backup of your database available, you can restore the database up to a suitable point. If you do not have this option available, you need to run the DBCC CHECKDB Repair_Allow_Data_Loss command. These are the steps you have to perform on SQL Server Management Studio. Remember: Following the below steps can result in data loss from your database. So, we recommend you to try this only after you have tried every other solution. Expand Management Node > SQL Server Error Logs and open the SQL error log. Check if the database is marked suspect in the error log. Note: Before you enable Emergency Mode, remember that it cannot be rolled back. So, we suggest you to take data backup if possible before applying this command. Warning: Once you have run this command, there is no rollback available. Any lost data will be lost forever. You should have your database back in online mode by now. You have to check how much data you have lost. Errors due to limited space on disc or system drive. Add the database file with suspect mode in the software. Apply Advanced scan mode to fix any discrepancy. The tool will scan the database and repair it. The complete recovered database will be available for preview.Click Export the save the required database components in any location. Since the suspect mode is a common issue faced by SQL users, these users keep asking in forums, “how to change suspect mode to normal mode in SQL?” Their search should end here as we have depicted some verified methods to put SQL database into normal mode. Use any of the solutions mentioned here to get rid of the suspect mode SQL database. Shrinking Tempdb in SQL Server won’t work? When I was working DML operation on the database, It is noted that the tempdb has grown significantly larger and I didn’t have much space on the drive of that server. I tried shrinking the mdf file of tempdb. It executes successfully but no space is released to OS. Is restarting the SQL Server is the only way to release the space. what are other steps available to troubleshoot this issue? Is there any way I can do it without restarting the SQL service?. Here are quick steps to analyze the tempdb resource contention issue. The query executed successfully but the size of the database did not change. No open transactions! Alright, any process holding locks on tempdb? No locks! There was a mention of sys.dm_db_session_space_usage DMV which helps to track the number of page allocation and deallocation by each session on the instance. Hence tried my luck with this query. After performing all the above steps, Space is big constraint than execute the below command to free up the cache. Note: It is not a recommended step. If this doesn’t help then the last step would restart the sql server. I was asked by the reader on how to get all the port information of SQL Servers instances. As you all know that PowerShell is built on .Net automation framework. I would prefer PowerShell to design any such requirements than any other languages. In this post, I’ll show to how to gather the information without logging on to each server. Now, run the following PoSH script. In the script, you need to change the Inputfilename parameter. #Import the server list - Read the servers from the c:\server123.csv file. In some scenarios where you don’t prefer to take input from a file. In this case, you can directly feed the server names as an array to the script. I got a chance to work with PowerShell automation script to automate the login process. In the script, the profile is loaded using the Select-AzureRmProfile. If you try to log in using Select-AzureRmProfile you most likely encounter the following error message. Select-AzureRmProfile : The term ‘Select-AzureRmProfile’ is not recognized as the name of a cmdlet, function, script file, or operable program. Check the spelling of the name, or if a path was included, verify that the path is correct and try again. The Select-AzureRmProfile is no-more a validate cmdlet. If you encounter Select-AzureRmProfile cmdlet in the script, you may need to replace with Save-AzureRmContext and Import-AzureRmContext. My work is recognized and my blog is listed under Top 30 elite list. I am pleased, honored and humbled to accept this award and to join other great recipients who I have long admired and respected. A very special thanks to the SQLShack family for their effort in identifying and publishing the Top blogs of 2018. And, of course, thank you to my family, readers, friends, supporters, and mentors for always supporting me. Thank you SQLShack and the team for the great recognition. DBAs have plenty of day-to-day tasks to do as part of the administration, but one overarching task is managing the entire SQL Server environment. To do this, the full SQL Server estate must be discovered and inventoried. To accomplish that all SQL Server instances, that exist, must be found. A system inventory is always the go-to document for vital information for everyone whether you’re a consultant or an in-house DBA; you must have a reliable inventory of the servers that you manage. The inventory can be defined in different ways since it takes many different dimensions but at its core, it’s an aggregation of information about the system installation topography. However, often, we tend to forget to update the inventory when we add a server or update software. We deploy new servers, decommission existing servers, keeping track of servers in the environment, upgrade process, patching, migration from physical to virtual machines, moving to the cloud, license validation, IT forecasting and many more such areas strongly rely on the inventory list. SQL is the essential part of SQL Administration and SQL Development. A quick overview of basics can take you a long way in the database career and make you feel more comfortable to use powerful SQL features. This article introduces the basic and important features of SQL in SQL Server. This guide demonstrates the working of SQL Server starts from creating tables, defining relationships, and writing Transact-SQL commands and so on. Ready to dive-deep into SQL essentials articles? Let’s go! 1. What is Database Normalization in SQL Server? 2. What is SQL in SQL Server? Thanks for reading. Please feel free to share your comment below:).